Acquiring a unique diamond of the highest quality is a complex and multifaceted process. It requires a rare combination of skills: a trained eye to assess the diamond’s physical properties, a specialized knowledge of top-grade diamonds and their worth on the market, and a keen understanding of the dynamics and players at world-class diamond auctions. With 20 years of experience in the high-end diamond industry, Marijan Dundek now offers his skills and expertise as a private consultant to both buyers and sellers of exceptional diamonds. He specializes in advising clients who want to purchase a gem at one of the exclusive auctions of the diamond world, where he employs a skillful and effective approach to bidding. 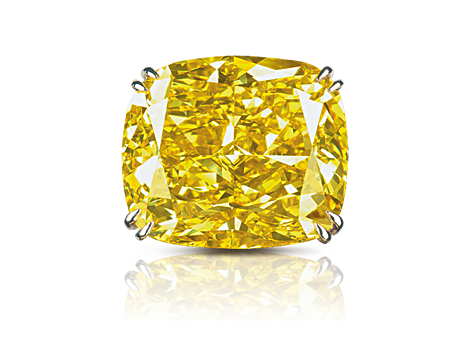 At the prestigious Sotheby’s and Christie’s auctions held twice a year in Geneva, he has helped clients acquire some of the world’s most unique and exquisite gems, including coloured diamonds over 100 carats. Mr Dundek has also made a name in the industry as the author of Diamonds, a highly praised practical guide to the subject that has been translated into six languages. 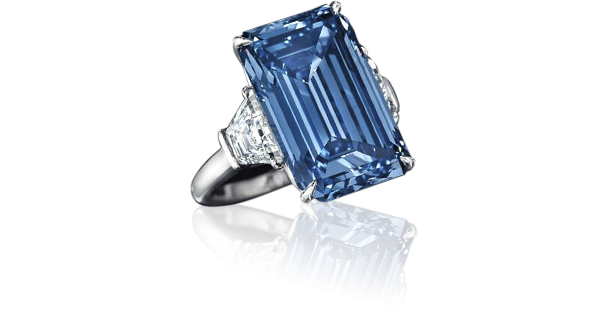 If you are interested in buying an outstanding diamond at auction, Mr Dundek is the consultant to call. His congenial and personable manner will immediately put you at ease, and step by step he will guide you calmly and expertly through the intense and high-pressured bidding process. This will not only make the experience easy and enjoyable, but will give you complete peace of mind in knowing that you’ve paid the right price for your diamond. For the uninitiated at such auctions, it’s all too easy to lose one’s head and bid way beyond a diamond’s value. 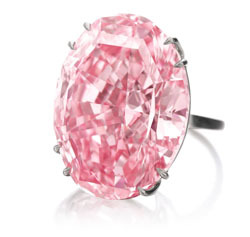 Successful bidding at auction for a prized diamond involves many factors: it requires insight into the psychology of competing players, an accurate assessment of the diamond’s value, and the ability to bid quickly and decisively as the situation changes by the second. Mr Dundek has a finely-honed grasp of these factors – and the chief players – in the feverish environment of the auction room, where it’s crucial to keep a cool head under pressure. He’ll make sure you don’t let the competitive spirit get the better of you and lead to overbidding. As a private diamond consultant, I offer the advice and guidance you need when acquiring a top-quality diamond. If you already have a particular diamond in mind to purchase, I will work on getting it for you at the best possible price. Or, if you would like to source a specific type of jewel – such as a ring or earrings, or a diamond of a certain colour or number of carats – I will help you find the best possible match for your requirements. 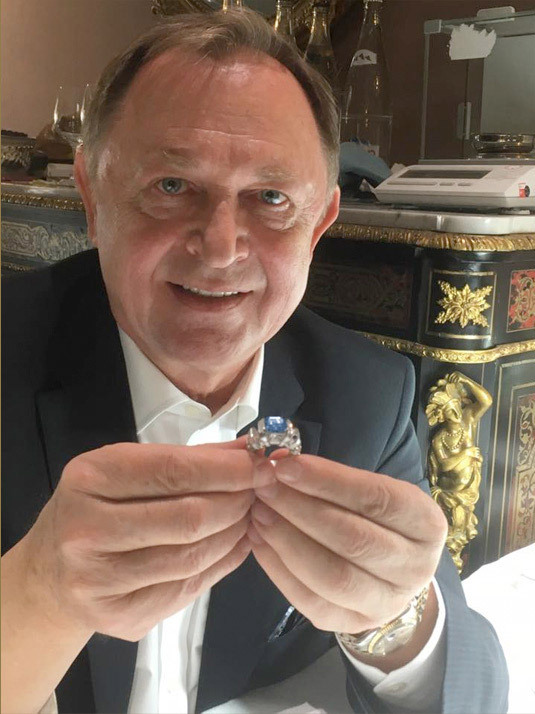 Mr Dundek examines 8.01 carat Sky Blue diamond ring at Sotheby's. Sold for 17.1 million USD at Geneva sale. November 2015. I offer a personalized consulting service that will guide you step by step through the auction process to acquire the diamond of your choice. Buying at auction is a process that largely takes place before the actual sale, and a vital part of my role is to acquire all the background information on a diamond’s history, provenance and past ownership. For this service I charge a 3% fee of the total purchase amount. With my extensive contacts in the industry, I can help you acquire diamonds directly from the world’s most reputable wholesale diamond sellers. I offer advice and guidance in purchasing diamonds from leading jewellers, including Graff, Harry Winston, Harrods Jewellery and other retailers in London. My personal contacts and established relationships with the most reputable retailers ensure you will get the best quality gems at the best possible price. If you have an outstanding diamond, piece of jewellery or unique gem that you wish to sell, I can guide you step by step through the process of putting it on auction at Sotheby’s or Christie’s and achieving the highest possible offer. I do not charge the client for this service. As your adviser I will receive from the auction house a one-time introduction commission after a successful sale. In whatever capacity, my consulting service is impartial and has no connection to the sale room. I can help with your specific requirements, please contact me with no obligation. © 2017 Noble Gems International. All rights reserved.